Danielle and Billy found me via Thumbtack, but as it turns out, we have been connected for a while through our families. My parents actually know their parents, and it was just a coincidence that they found me via the internet. It’s really a small world! I love it when these connections are found with my clients as it really does draw me closer to them. This will be their first baby, so the first baby shower is a BIG deal. The shower took place at University Covenant Church in Davis. It was a beautifully decorated location with nice open windows to let natural light in. I just had to take advantage of it and get at least one glamour style shot in! As with all the events I take photos of, it’s important for me to not only capture the people who attend and what they do, but also the little details. 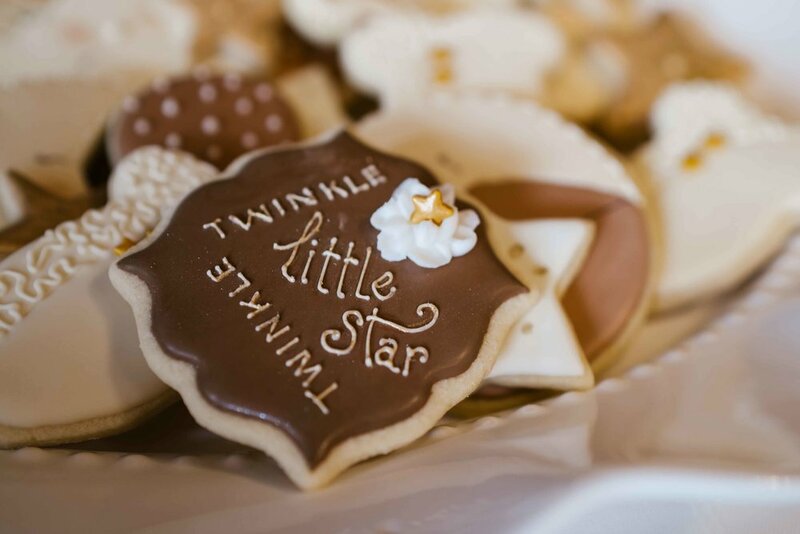 In the case of this baby shower, every detail was absolutely gorgeous… all the way down to the perfectly decorated cookies on the sweets table. What’s a baby shower without games? Billy and Danielle had their event coordinator come up with a number of really fun group games to play. It was a blast to photograph and even more fun to watch. I always take a lot of joy in taking photos of all the action that happens during an event. This baby shower was a huge success with a large amount of food and fun for everyone who came. I’m sure that Danielle and Billy will be great parents. Even before the baby has arrived they have done a lot of celebrate and make a big deal about her. We ended the baby shower with a large group photo. It’s always fun shooting really wide and getting these shots. Huge thanks to Billy and Danielle for hiring me for this special occasion. I wish them the best as the due date draws near! Sacramento area photography is here. CLICK HERE to see my old blog page. New posts can be seen below! Joe & Bee Tie the Knot! It's Been a Year Already! We Had to Shoot Quick for this Engagement!